Day 01: Rishikesh / Haridwar to Uttarkashi (180kms/6hr) Height: 1352 MTS. 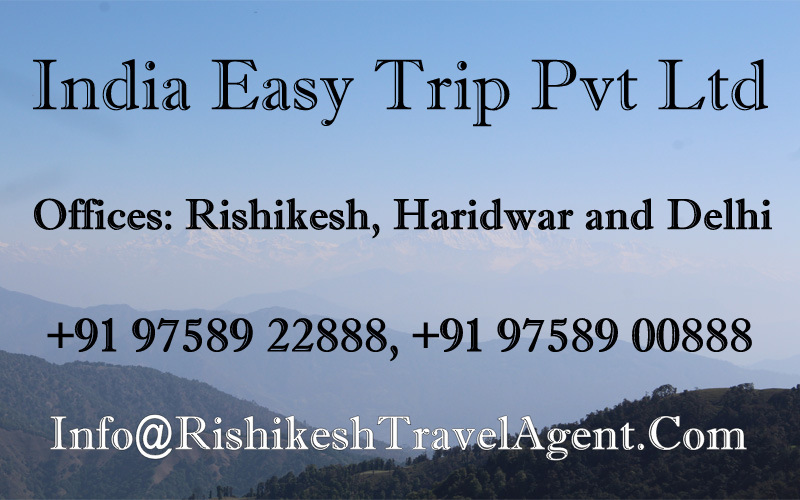 Meet our driver at Haridwar railway station / Hotel and drive for Uttarkashi. On arrival at Uttarkashi check in to hotel. Visit Kashi Vishwanath Temple and Shakti Temple in Uttarkashi. Stay overnight at Uttarkashi. Vishwanath temple – Vishwanath temple is one of the oldest Shiva temples in Northern India. Re-constructed in 1857 by Maharani Khaneti Devi of Tehri State in the ancient architectural style. It is situated at the heart of the town. A massive iron trident, symbolic of divine mother’s, is erected and worshiped from time immemorial at the temple complex. Ganeshji, Sakshi Gopal, Markandeya Rishi’s small shrines are also part of the temple complex. Akhand Jyoti as well as Akhand Abhishek, special aarti at morning and evening are offered. As per Skunda Puran, Uttarkashi is known as ‘Saumya Varanasi’, the abode of Lord Shiva in Kaliyug and counted as one of the twelve Jyotirlingas. Shakti temple – Right in front of the Vishwanath temple is Shakti temple. It has a big ‘Trishul’ of about 6 meters in height and a circumference of 90 cms at bottom. Though there are different views about the making of this, the upper part of it seems to be made up of iron and the lower one is of copper. As per the epics this Shakti was thrown on the devils by the Goddess Durga(Shakti), hence it gets its name. Since then this Shakti is erected over here. Uttarkashi Weather – Generally hot in summer, the temperature ranges from 30-35 degree Celsius but nights is pleasant, cold in winters. Morning after breakfast check out from Uttarkashi and enjoy drive to Harsil. Today we have only short drive so guest can feel comfortable in gradual change in altitude. After lunch enjoy nature walk around. Stay overnight at Harsil. Day 03: Harsil to Gangotri & Gangotri to Bhojbasa (30 Kms drive/ 1hrs + 14kms Trek 6-7 hrs) Height: 3775 MTS. Early morning take (packed breakfast) and drive towards Gangotri via beautiful Harsil Valley. On arrival at Shree Gangotri, take a holy dip in the sacred river Ganges which is also called Bhagirathi at its origin. Perform Pooja and Darshan, after that relax for some time in the lovely surroundings. Around 11:00 ‘O’ Clock trek towards Bhojbasa via Chirbasa the entire trek today is along the roaring Bhagirathi River. Beyond Chirbasa the terrain becomes really desolate and barren. In fact, it has been referred to as Artic Tundra by many trekkers. From Chirbasa we trek further to Bhojwassa, the entire trail passes through dense forest, Arrive Bhojwassa; there is a small temple and a potential campsite near down the river. We make our camp near river side. Afternoon free to explore the area and to enjoy excellent sunset on Bhagirathi group of peaks. Stay overnight at Bhojbasa. Gangotri Temple: The 18th century’s temple dedicated to Goddess Ganga is an exquisite 20ft. High structure made of white granite. The sacred stone The Bhagirath “Shilla” is located near the temple of Ganga where the holy Ganga first descended on earth from heaven. The Gangotri Temple visited by roughly 300 thousand adorers annually. If opens on the auspicious day of “Akshay-Trtiya”, generally in the month of April or May by November, Gangotri town is covered with snow. The temple is closed on the Diwali festival every year and it is reopened at month of April or May. During this time , the idol of The Goddess is kept at Mukhba Village, near Harsil her winter adobe “12kms downstream, home to the main Pandas(Priest ) of Gangotri”. The other places of pilgrimage are Surya kud, Vishnu Kund and Barhma Kund located in the vicinity of Gangotri. Gangotri Weather – The maximum temperature during summer can go up to 20° Celsius. Summer nights can get cooler with a minimum temperature of 10° Celsius. Light woolen clothes are required while visiting Gangotri during summer. Winter season is very chilly in Gangotri. Gangotri will be covered in sheets of snow during winter. Pilgrim centers remains closed throughout winter due to heavy snow falls. Early in the Morning enjoy the panoramic view of Bhagirathi group of peaks. After breakfast trek to Gomukh (3890mt), the source of the Ganges. Gomukh is where the water of Ganga trickles down from the glaciers. The sages called it ‘Gomukh’, because in the distant past, it probably appeared like a cow’s mouth. Explore the area and trek back to Bhojwassa for overnight stay. Gomukh : The Gomukh glacier is the source of Bhagirathi (Ganges) and is held in high esteem by the devout that do not miss the opportunity to have a holy dip in the bone chilling icy water. Day 04: Bhojwassa to Gangotri & Gangotri to Harsil (14kms Trek 6-7 hrs + 30 Kms drive/ 1hrs) Height: 3775 MTS. After breakfast get ready for trek down to Gangotri and from here drive to Harsil. On arrival at Harsil check in to hotel. Stay overnight at Harsil. Morning after breakfast, check out from hotel and transfer to Rishikesh/ Haridwar. Drop at Rishikesh / Haridwar. Cost: On request. We don’t have any group departures but we will update here in case we will do any group tours we will update you.